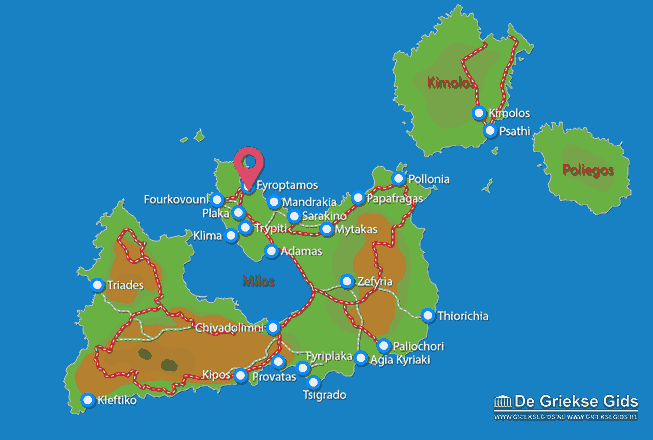 Fyropotamos. 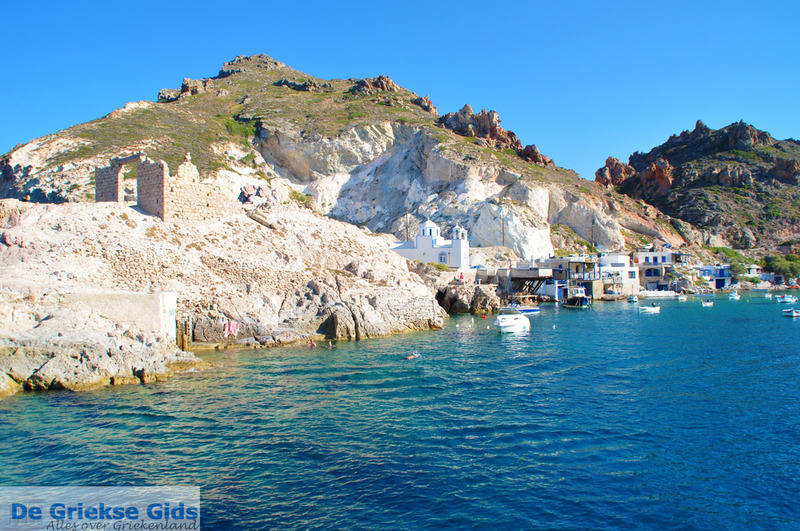 Fyropotamos is a pretty fishing village on the Greek island of Milos. 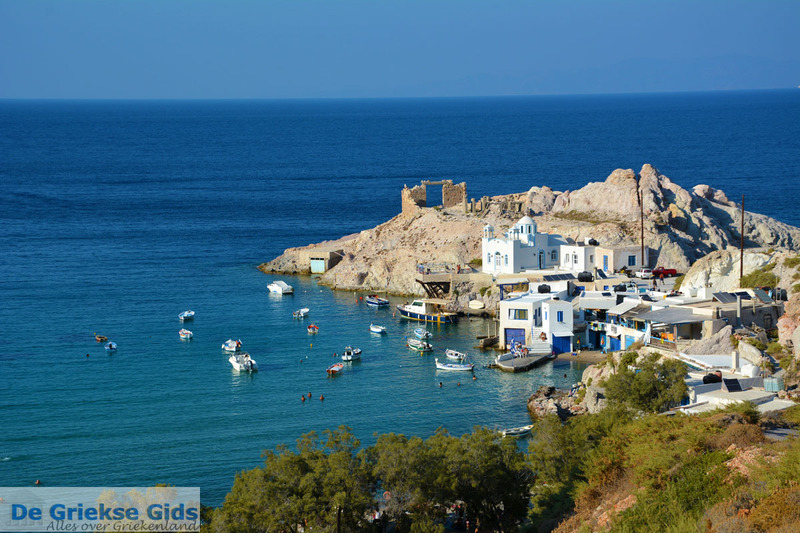 It is located three kilometers (less than 2 mi) north of the capital of the island, Plaka. Among the excavated rocks at the beach, are houses with brightly colored doors and windows. In the 19th century, these were the residences of fishermen. 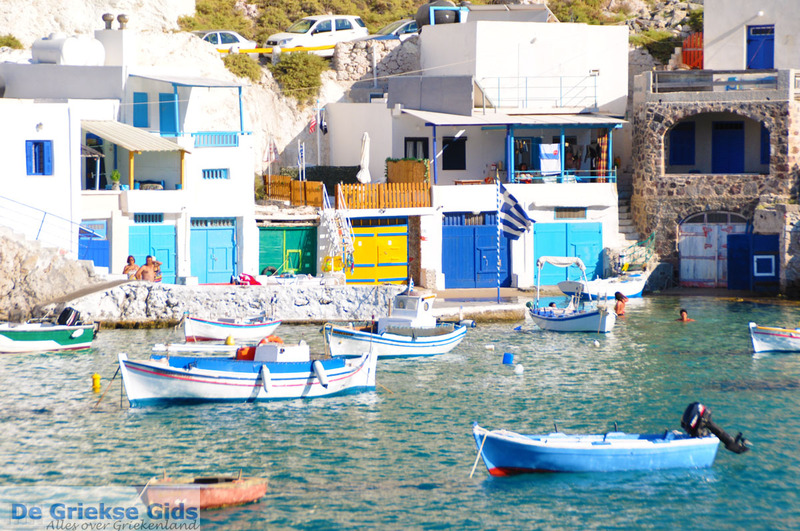 In these houses they docked their boat when the sea was wild. They slept and stayed on the second floor. 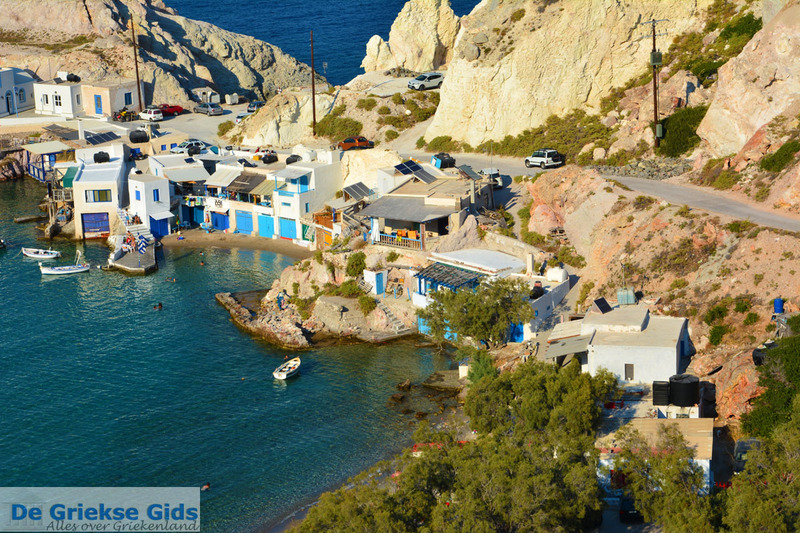 Later these houses were the cottages for the fishermen and their families, and today, these quaint little houses are rented to tourists as holiday homes. 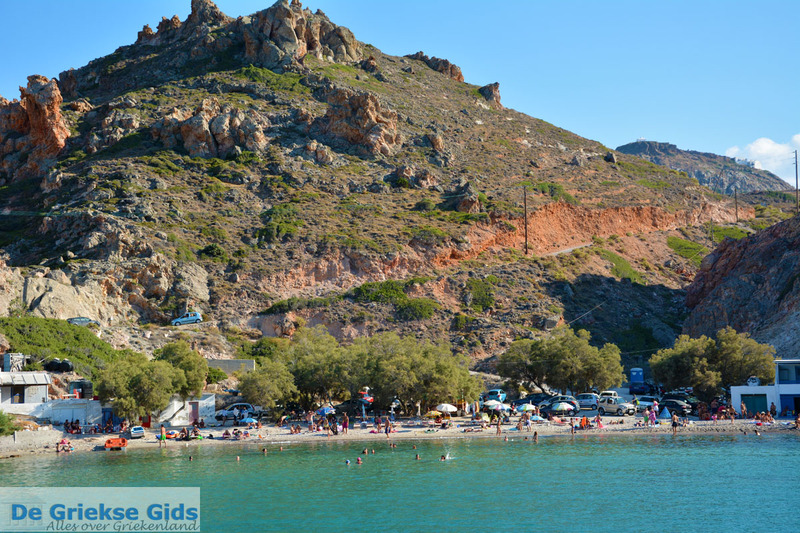 Fyropotamos is located in a bay backed by tall colorful mountains. When you arrive by car and look down from high above the road you see the village, and the beauty surrounding the village. 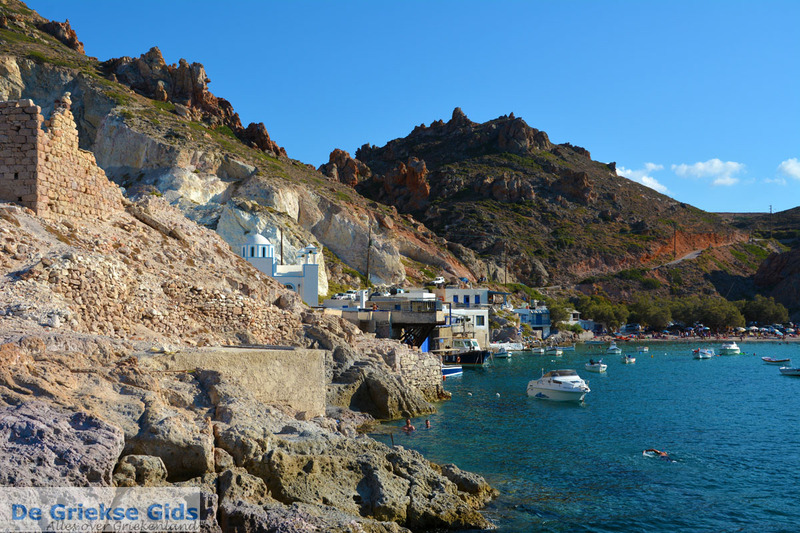 Among the white-grey rocks of the peninsula you can see the beautiful white church of Aghios Nikolaos. Behind it are the ruins of a building that served as a loading and unloading area for the transport of metals in the last century. 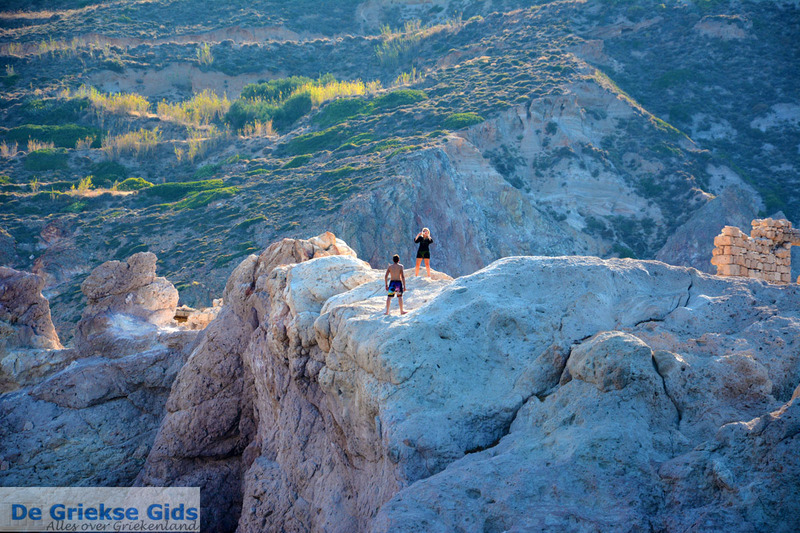 Park your car next to the rocks at the church or near the sandy beach, which is very popular in summer. 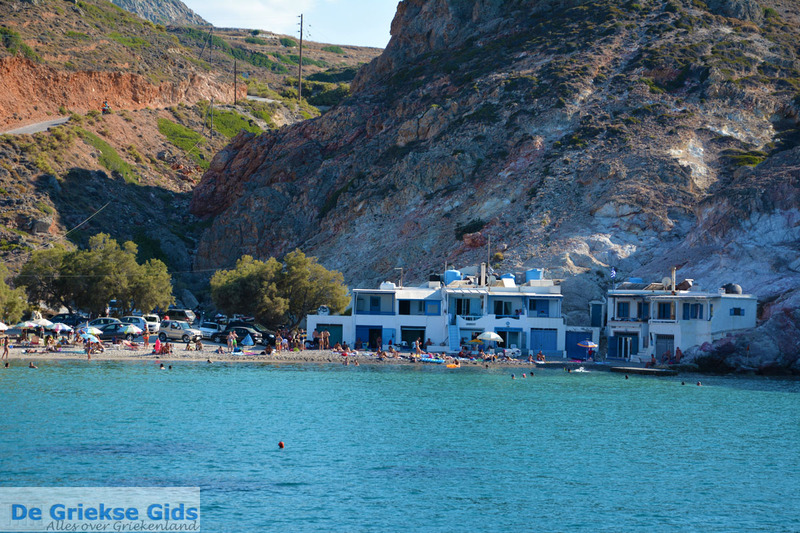 Boats frequently visit Fyropotamos, and many stop here to let their guests swim. 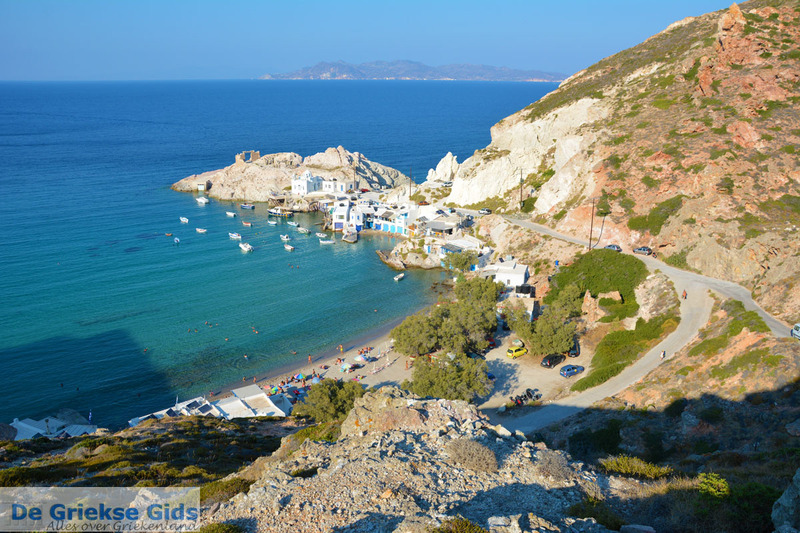 Milos: Where on the map is Fyropotamos located?